My trick is easy to say but hard to do. I say no. A lot. I mean I say it so much that if you lined up all the people I said no to, especially those who were willing to pay me a little for some quick help, you might think I’m mad. It’s the exact reason I find so many people not saying no. You’re enticed by making “some” money. I say some because honestly, were you to focus on doing something truly spectacular, you’d likely make a lot more. The technical term to learn is opportunity cost. The cost of missing out on doing something else because you chose to do the thing in front of you. There’s a cost when you don’t say no. When I say no, I’m saying no because the offer isn’t in my sweet spot. Instead, it’s just a distraction. That customer whose project is already ill-defined wants to hire you. It’s an e-commerce site and you’ve never done one – but you’re excited to learn. So you take it on. Then you learn how much you don’t know. The result? You lose money on the job. The customer isn’t a raving fan. And now when your phone rings, you don’t pick it up – fearing that they’re calling to ask a question or get you to fix something else – for free. Just say no, for now. Even though you do web design or development, your client wants some content marketing strategy work. It’s something you’ve done for yourself and a few friends but you’ve never done it professionally so you don’t know what the going rate is. You undervalue your knowledge and discover too late why they were so excited to hire you. They promote you, but at a rate that doesn’t really make sense for you to do the work. The result? A happy and promoting customer who is promoting the wrong service at the wrong rate. Just say no, for now. Now don’t get me wrong. I’m not saying you shouldn’t grow your business and take on other services. Sometimes it makes sense. But do it with a strategy. Do it after you’re prepared yourself and your business to offer a new service at the right rate. But until then, learn to say no. You can say no five or ten times until you realize you’ve been saying no to a constant need that’s appearing. Go do your homework, develop your skills, fix your rates, and then call some folks back up. You may be thinking, hold on, seriously, after saying no, you want me to call them back up later. And my answer is yes. 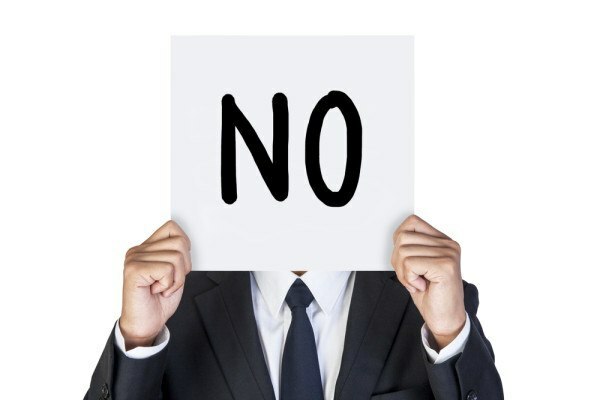 Because by saying no the first time, you demonstrated that you were a professional who was focused on adding value – only where you knew you could add it. Now, when you call up to discuss your new service, you’re still that professional. I know a little something about social media. I know a little something about content management. I know a little something about a lot of stuff. But it’s just that – a little something. That’s not what I want to be known for. It’s not my sweet spot. I design and develop products. I’m a product strategist. Period. I help others anticipate challenges and help them accelerate thru them – but not if they’re not focused on product development. Can I help them sell more? Sure, but it’s not a focus. Can I help them shape their message better? Sure, but it’s not a focus. Saying no to projects that aren’t a perfect fit let’s me say yes to projects that are great fits where I can add value immediately. So figure out what you’ve been saying yes to that instead should be a “no” and start focusing on the areas where you can add immediate and spectacular service. It will drive revenues up, customer service up, net promoter scores up, and lower your attrition. I promise.